VOW and its resellers are passionate about exclusive brands in the facilities supplies range, as they help them to differentiate themselves from other packaging suppliers. Because our brands are exclusive to the office products channel it helps resellers to compete with specialists in other markets and online. The GoSecure brand is a good example as it was created to help dealers market the key range of packaging lines with a brand name that is dynamic and suggests that the product inside will travel well and arrive securely. 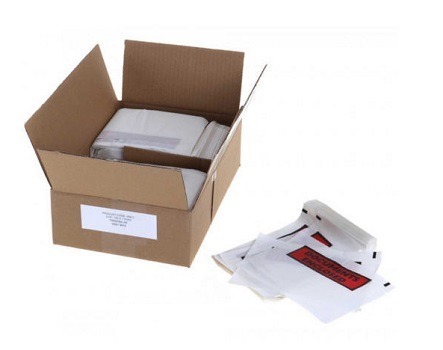 The GoSecure range encompasses fast-moving packaging lines used by offices and distribution centres plus some specialist high security envelopes that are used by retailers, banks and legal departments. The key products are polythene envelopes, secure mailing pouches, document enclosed envelopes, bubble mailers, mailing trollies and sorters. Secure mailing is a development area for us as we continue to see end-users looking for products with security solutions like protective tamperproof seals to ensure that cash or important documents arrive safely. High security envelopes are ideal for cash, keys and document-handling and, as they’re made from strong, reusable PVC, they have the added benefit of being very cost-effective and better for the environment. We continue to see an increase in the volumes of polythene envelopes and bubble mailers as more and more products are ordered online and sent by carriers. Internet traffic shows no sign of declining and we will continue to add packaging products to the range to help dealers maximise their sales in this area. Our new product launch in January 2018 will start to show the evolution of the range into small packs that are suited to the smaller volume user in addition to our popular bulk packs. We think that these will be ideal for retail and online resellers who target the home market and smaller offices. All of the GoSecure packaging products are designed to ensure that the product inside will be protected during transit and quality is never compromised. Protection and purpose is usually more important than price when choosing packaging and we try to make sure that the products available in the range today are always fit for purpose and that they are priced competitively. GoSecure is one of eleven exclusive ranges offered by VOW and the GoSecure item usually replaces the traditional, unbranded packaging product that you see so often in the sector. There are a few, very important key brands in the packaging range – GoSecure is not designed to compete with these; instead, it’s a great, cost-effective alternative for distribution centres and the workplace. We are on the look-out for new, innovative products to add to this range and will continue to expand the range over the next few years. We think the opportunities provided by GoSecure are massive and we would encourage all resellers to find out more at our Green Light event next month (head to www.greenlightevent.com for details). We’ve also been showcasing it at dealer group events throughout the 2017 where we’ve been sampling the products. To support this our marketing department is producing a range of printed and online marketing materials and we’ve launched a support website – www.go-secure.co.uk – which provides a raft of dedicated information to help dealers in the growing packaging sector.